In the spirit of New Year’s resolutions and all I thought I’d make a recommendation related to something healthy for body and productivity. But it’s also got to be gaming related no? Well not really since I’ve got plenty of non-gaming related posts. The fact that it is actually gaming related is just a nice little bonus. Also, I would just like to point out that I’m not affiliated with this app in anyway or am being paid (because you know, this blog is oh so popular). 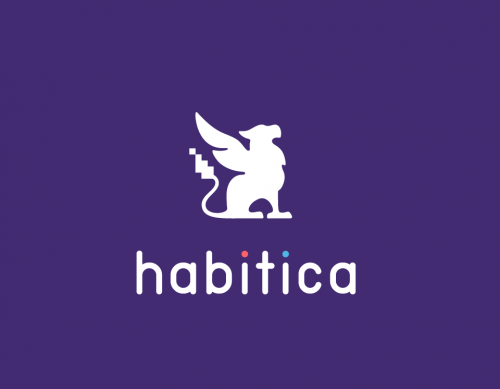 For this recommendation I’m highlighting the Habitica app which is available both on iOS and Android. It is somewhat of a RPG that advances based on your actions in the real world. Like many RPGs you begin by creating a character although a class is not chosen until level ten. As mentioned, your character advances based on your real life actions so you’ll need a little time in the beginning to set these up custom to your lifestyle. There is a habits section which can be set up as a negative or a positive. For instance, one of my own negative habits are cigarettes as I’m trying hard to quit this year. Every time I cave and smoke one, I mark it in the habits tab and it damages my character by hitting his hit points and mana. One of my positives is a full glass of infused water (hate the taste but it’s healthy) and whenever I finish off a tall glass, I hit it in the habits as a positive and it gives my character some experience and a couple of coins. Another section is your dailies. These are basically to do tasks that you want to do on a daily basis. An example of this for me is the treadmill for a minimum of thirty minutes. Completing these comes with experience and coins, but should you miss a day then your character again takes some damage. My personal favourite section though is the todo list. I’ve always kept a to do list on my phone to keep track of, well, my to dos. If you don’t complete these your character is not negatively affected so you can keep an item on the list for a long time without repercussions. But once you get around to completing the task your character gets the rewards. If you’re always keeping up with your dailies and doing good habits then knocking down the to do list is a nice little bonus. The habits, dailies, and to do tasks can all be customized in terms of difficulty, classification, and frequency as well. Lastly there is a rewards section to spend your hard earned coins. You can buy items and equipment for your characters to make them stronger and look all badass. Additionally you find eggs and can hatch them to gain pets, then you can find food to feed them and grow them into mounts. I’m only level ten but there’s also plenty of other stuff I’ve barely scratched the surface. There are quests you can do solo or with a party and challenges you can join in the community. A tavern to rest at (no negative effects from missing your dailies) and guilds to join. Obviously the game is basically dependent on the honour system, so while you can easily cheat your way through it I feel that really defeats the purpose. The way it’s set up, you can tailor the rewards or negatives to focus only a small portion of your life you’re looking to improve.Or you can expand it to include a wide array of thingsand try to improve many aspects of your life.In all, Habitica adds a little fun to trying to better yourself and I thought it might be a nice little motivator for those trying hard to accomplish this in 2018. This entry was posted in Recommendations and tagged App, Habitica, Productivity, RPG, Video Games. Bookmark the permalink.